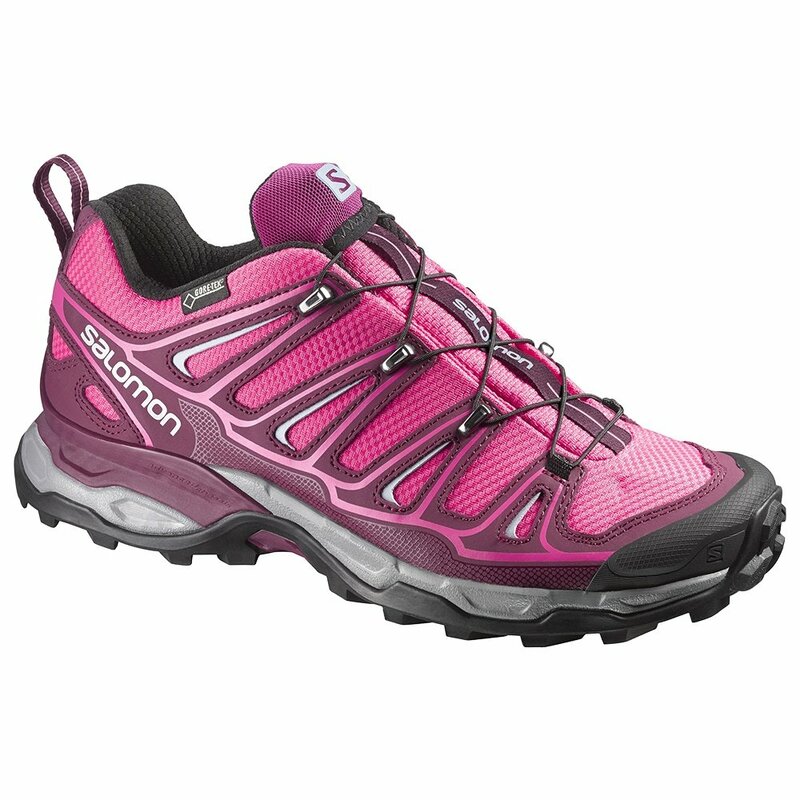 Part running shoe, part hiking boot, the Salomon X Ultra 2 GTX® Women's Trail Shoe is perfect for when you want to get up the trail fast, or even if you just don't want a clunky boot weighing you down. The GORE-TEX® membrane that's been built in ensures you stay dry and comfortable no matter what conditions you're out in, and the Advanced Chassis Design supports you to make it easy to find sure footing anywhere you go. "What are the details of this boot"
"Thank you for the inquiry. It must not have downloaded properly. The details are as follows. PRODUCT DETAILS: The sleek look of the X ULTRA 2 GTX® indicates the speed with which you'll conquer every trail. With running shoe technology mated to a lightweight, protective upper and a GORE-TEX® waterproof membrane this lightweight hiker likes to move fast all year long. ADVANCED CHASSIS™ Salomon's lightweight advanced chassis, placed between the outsole and midsole, maximizes motion control, energy management and push through protection for an efficient, stable and responsive ride." I love this brand and wore out my last pair. I walk 10 miles 5 days a week, great support for these long walks. This is why I purchased another pair. For some reason this cushion is not as comfortable as my old pair. I've had to add more cushion and it takes up some of the extra space. I usually wear a size 9, for some reason this pair is big on me. Not sure what to do about it at this point?